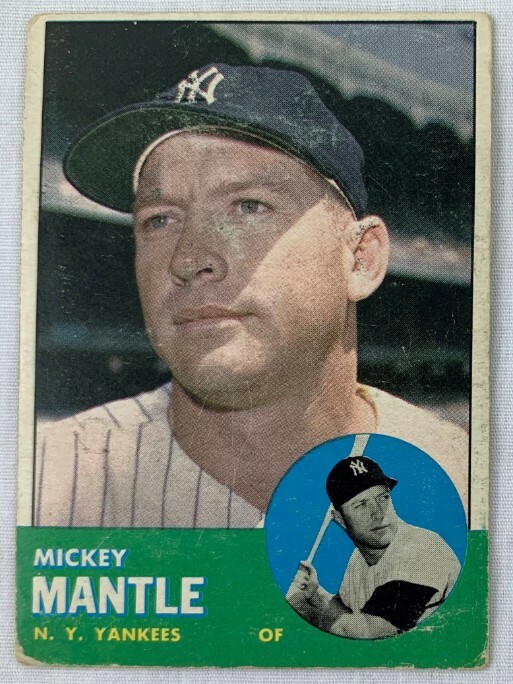 This is a 1963 Topps Mickey Mantle Baseball card. 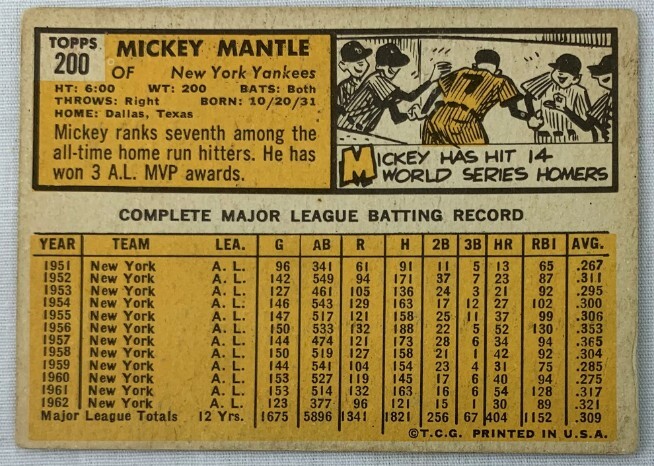 Mickey Mantle was a 20 time All-Star, 3 time AL MVP, 7 time World Series Champion, and a 1974 Inductee into the Baseball Hall of Fame. 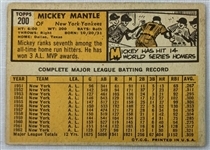 This card has not been autographed nor graded. Auction closed on Thursday, April 18, 2019.